Soundtrack flashbacks: Andy Williams selects big screen breakbeats and soundtrack soul from the likes of Galt MacDermot, Don Julian, Melvin Van Peebles, Roy Ayers, Marvin Gaye and more. Plus an RIP to B.D.P. extended family Ms. Melodie, some Pete Rock SP-1200 magic on on Brand Nubian's "Slow Down" remix and the classic "For Pete's Sake", new Montreal sounds from Nomadic Massive and beatsmith Kaytradamus, a Nas/Winehouse collabo from his new LP, and rough funk from Cain & Able and The Soul Searchers. Scott C puts a spotlight on Tim Zawada's "Tugboat Edits" with lots of disco and boogie goodness like Tom Browne and Intrigue, plus hip hop picks from Quelle, Krystale & Kaytradamus, Slum Village and more. Steely Chan roughs up some Roxanne Shante vocals, M-Tri and Learnz take it back to the essence with "Boombox Assassins", and we get into some summertime sweetness from Coke Escovedo, Dead Prez and The Voices of East Harlem. Everybody loves the sunshine: Ruby Jane keeps the summer vibes flowing with selections by Nina Simone, Sam Sparro, Vanity 6, Cheri, Prince and more. Plus a soulful slow burner from Lack of Afro's 2011 LP "This Time", a summertime classic from Sly & The Family Stone, funky soul from Sky Hi and Betty Wright, and Vox Sambou and Narcicyst's meditation on the plight of asylum seekers in "Article 14". The Cheeba Cheeba Kid sniffs out more deep grooves from the rock vaults, with spaced out funk from Gong and Michael Bundt, synth madness from A Certain Ratio and classic sample fodder from Liquid Liquid and ESG. Plus: Onra adds his signature touch to Slave's '84 track "Share Your (L.O.V.E. )", Yellow Magic Orchestra put a Japanese twist on an Archie Bell favorite, and Freestyle Fellowship fuse jazz and spoken word on their classic "Inner City Boundaries". DJ Kobal serves up feel-good funk & disco by Mellow Madness, Joe Coleman and Grey & Hanks, and head-nod hip hop from Big Daddy Kane, Black Maddness and the Funk League. Plus a double shot of Bay Area classics from the Hiero Imperium, Lupe Fiasco waxing political on a reinvented T.R.O.Y. beat, and timeless funk from Kool & The Gang and Herbie Hancock. DJ Kilocee treats us to a special blend of hip hop cuts from Jeru, Brand Nubian, Fat Joe and Mobb Deep, plus seminal funk breakbeats and rough tracks by Apollis, Dennis Coffey and more. Plus funky heavyweights from Betty Davis and Tom Farrago, boogie by Goldie Alexander and Aurra, and different dimensions of jazz fusion from Patrice Rushen, Grover Washington Jr. and Les McCann & Eddie Harris. Bliss is on the decks with jazzy tracks from Biz Markie and Luke Vibert, funk favorites by the Blackbyrds and the Meters, early blues from Tampa Red, and reggae rhythms by the Three Tops and Marcia Griffiths. Plus: Nas drops a fiery first single from his 10th LP "Life is Good", and we pay tribute to the soulful voice of Belita Woods, DC Go Go's founding father Chuck Brown, and unsung Stax bassman Donald "Duck" Dunn from Booker T & The MG's. "So what'cha want?" WEFUNK celebrates the life and music of MCA from the legendary Beastie Boys. Plus an old & new soul stew with Bain Magique in the mix, featuring tracks from the Detroit Emeralds, Full Crate & Mar, Foreign Exchange, Howard Johnson, Cameo, Freeway and many more. Salute to street dance: DJ Shash'U, Neeko Killa and Spicey join WEFUNK with joints for the poppers, lockers, breakers and hip hop dancers, including tracks from Slick Dogg, Dilla, Onyx, Amalia, Lords of the Underground, Breakestra, Mr. Scruff and many more. Creeasian is back with heavy West coast phunk from Battlecat and B-Legit and raw hip hop by El Da Sensei, Masters of Illusion and Gang Starr. Plus Simahlak lends his rock solid production to 4th Pyramid's new single "Simmy Auto", Sharon Jones and Sharon Jackson deal out killer soul vox, and Sheek Louch and Ghostface deliver back-to-back homages to the ol skool. West coast is in the mix with Planet Asia, Alkaholiks, Del the Funky Homosapien and more. Plus stone cold funk classics from the Meters and the Ohio Players, rough instrumental funk by The Eliminators and Preston Love, slo-mo disco from El Coco, and a crazy Dazz Band mashup by DJ B.Cause. 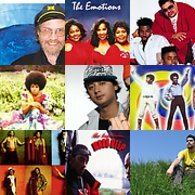 Fuzz funk and big beats: The Cheeba Cheeba Kid returns wielding rock breaks, from Steve Miller's bass riffs to classic Monkees to tripped-out Paul McCartney and much more. Plus a transatlantic collabo featuring Chicago's 1773 over futuristic beats by Vienna's Trishes, and meat & gravy funk from Booker T. Jones, Stretch & Steve Arrington. F.U.N.K. all night: All the way from Kleeer, Dam-Funk and Masta Ace to Funk Inc and Fela Kuti, DJ F.U.N.K. 's got the funk locked. Plus a cut from 4th Pyramid's new LP "Pyramid Scheme", rough funk favorites from the Soul Searchers and Sugar Billy Garner, and smoldering soul, funk & jazz samples from Consequence, Kendrick Lamar and MOR. Ruby Jane joins us for some "winter endurance" therapy, digging into bluesy grooves and soul selections by William DeVaughn, Barbara Acklin, Bad News Brown, Raphael Saadiq and more. Plus a fresh cut from DJ Format's new LP "Statement of Intent," and funk rawness new & old from Speak Low, Dyke & The Blazers and the Fatback Band. 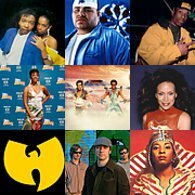 Rhymes Galore: DJ Ilya's on the mix with loads of hip hop from GZA, The Roots, Lootpack, D&D All Stars and more. Static salutes Raekwon with two sets marking his new Canadian tour & Toronto label Ice H20 Canada, and Edwin Birdsong & Bernard Wright throw down some off-kilter early 80s funk. Power of the drums: DJ Creeasian stirs up a hornet's nest of b-boy breaks by Johnny Bristol, Crazy Elephant, Spanky Wilson, The Ogyatanaa Show Band and more. Plus rough funk covers from Diazpora and Nostalgia 77, Czech rock breaks by Flamingo, West Coast beats by DJ Quik and Too Short, and a spotlight on hip-hop and R&B tracks built from Lou Donaldson's seminal "Ode to Billy Joe" break. Dilla Day: Scott C joins us for a celebration of Jay Dee's musical legacy, featuring remixes, collabos, beat tapes, tribute tracks and more. Plus some hand-picked Big Pun tracks to commemorate his February 7th passing, and soulful funk from Mike James Kirkland, Stanley Clarke and Chris Hills. Respect! 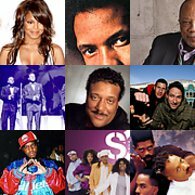 WEFUNK pays tribute to funk legend Jimmy Castor, Soul Train's visionary Don Cornelius, and Chi-town hip hop ambassador Common (courtesy of Calgary's DJ Pump). Plus 2 cuts off Sadat X's classic debut LP "Wild Cowboys," an original Artifacts reunion over Illmind production, and funk classics from Mandrill, Rufus and Hank Ballard. DJ Simahlak takes us on a wild ride through funk roughness from Chris Joss and Shawn Lee's Ping Pong Orchestra, classic breaks by Baby Huey and Eric Burdon, grimy cuts from Madlib and Maffew Ragazino, and homegrown hip hop by Fatski and 4th Pyramid. Plus soulful boogie & disco from King Floyd and Player's Association, percolating funk by Louie Ramirez and Chet Ivey & His Fabulous Avengers, and a Raekwon/Magictones sample moment. Rawsoul explores the mellow side of 80s boogie with tracks by Ritz, Special Forces & Enchantment, and acid jazz treasures including remixes by DJ Premier and Large Professor. Plus some dusty breaks & beats from Charly Antolini and Love's Children, rare groove remixes by Nicholas and Jay Todd, and the Blackbyrds "Mysterious Vibes" sample that inspired Kurious and Horace Brown. "All around the world for the funk!" Andy Williams treats us to a deep selection of African funk, trans-continental beat legend Mark de Clive-Lowe joins us in the studio, Static casts a spotlight on European hip hop & international collabos, and Groove dips into funky sounds from Japan, Russia, Brazil and more. The groove gets down & dirty with Brad Slyde in the mix, featuring brand new funk from Dennis Coffey, a secret Sly Stone soundcheck, and Eddie Henderson's jazz psychedelia. 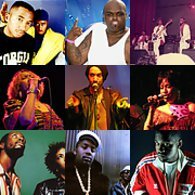 Plus new-generation funk sounds from Aphamama and Amie J, and a special Queensbridge dedication with Mobb Deep and N.O.R.E. tracks old and new. DJ Kobal's on duty as we get into rough funk by Mugo and Herb Johnson, raw disco from Rare Function, a sample classic by Ramsey Lewis, JB-produced jams from Bobby Byrd and Bill Doggett, and new underground heat by Black Star, D-sisive, Action Bronson and Common. Overweight Lover's in the house! It's a Heavy D retrospective featuring solo and collabo joints, new jack era hits and dancehall flavors. And guest DJ Bain Magique treats us to feel-good jams by Eddie Kendricks and Don Blackman, soulful selections from the Sylvers and Aaron Neville, remixes & revamps by the Pendeltons and Mophono, and hip hop picks from All Natural and Viktor Vaughn. 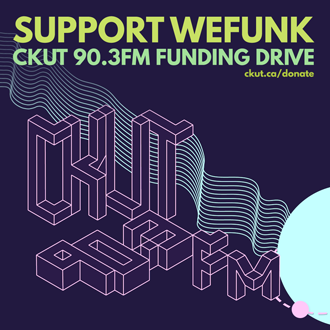 CKUT Funding drive 2011! Featuring funk favorites from Sweet Charles and Jimmy Smith, new music from Stones Throw's latest addition Jonti (S. Africa/Australia), new generation funk from Chico Mann and Joy Jones, "Crickets" from Moka Only's collab with Swiss producer Chief, jazz funk gems from the Greyboy Allstars and Patrice Rushen, and much more. Tales from the crypt: Triple-6 is in the mix with diabolical sounds by The Devils, Howlin' Wolf, The Gravediggaz, Big L and Mobb Deep. Plus a cinematic journey through film's funkiest era with Blaxploitation sounds from Willie Hutch, Roy Ayers, Gene Page, James Brown, Curtis Mayfield and more. DJ Bliss gets into funky breaks, edits & mashups from Jurassic 5, Dream Warriors, Pecoe, DJ Daigo, Mark Hype and more. Plus a taste of Blu's new "No York!" 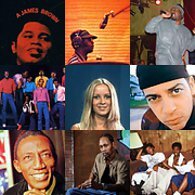 album, some 90s LP cuts from Camp Lo and Bush Babees, a couple deep funky Stevie Wonder favorites, soulful boogie by Chuck Strong and Brenda Taylor, and new funk concoctions by Jack & Juke and Restless Soul. "Ordinary" Guy: Latin soul legend Joe Bataan visits WEFUNK with stories of Spanish Harlem back in the day, his musical ascent and connections with the new funk generation. Plus: Reworks of Prince and Fela/Dela (c/o Ruby Jane), boogie goodness from Delegation and Oliver Cheatham, and a sample moment with soul-powered 90s hip-hop by Intelligent Hoodlum and Grand Daddy I.U. Featuring classic favorites from the JBs and Quincy Jones, Smokey Robinson's silky soulful "Baby That's Backatcha" and rare cuts from Tarika Blue, Raj and Randolph Baker. Plus: Casual keeps the heat coming on his new track "Mic Memorial," Fashawn updates Common & John Legend's "Strange Fruit" and Zhane lends a soulful hook to De La Soul's "4 More". 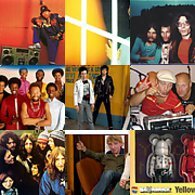 The Cheeba Cheeba Kid joins us for a walk through the Acid Jazz era with songs by the Young Disciples, Snowboy, Incognito, Brand New Heavies and more. Plus: We pay tribute to singer-producer-songwriter legend Nick Ashford, the Italian production duo Black Machine touches up "Soul Power 74" for a beefy '94 banger, and J-Live pays homage to Diamond D's classic "Day in the Life". 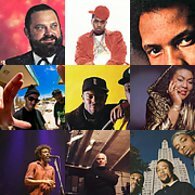 DJ Ilya's on the set as we dip into 80s funk jams from Bernard Wright & Hypertension, funky dubstep remixes of Amy Winehouse & Erykah Badu, boom bap beats from Kenny Dope & AG, early party raps from Missy Dee & The Melody Crew, a couple overlooked grooves from the P-Funk army, and Shinehead's soulful reggae twist on "Billy Jean" and "Mama Used to Say". "Too Hot": Rawsoul's on the mix with rollerboogie joints from Slave & Finesse, golden-age gems by Black Sheep & Biz Markie, and smoothed-out 90s hip hop from the Boogiemonstas & Mic Geronimo. DJ Static selects some current favorites by Wildelux, Ghostfunk (Ghostface x Max Tannone) and M.E.D., and Professor Groove rounds out the mix with feel-good sounds from Rebirth & SpaceArk. WEFUNK Reunion: DJ Static is back in the studio for a special session with Professor Groove, featuring funk favorites from Fatback & Dennis Coffey, soul shouters by Bettye Scott & Barbara Randolph, and hiphop-meets-reggae on tracks by Kardinal Offishall, Guerilla Black and Tribe Called Quest. 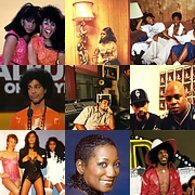 Triple tribute: Paying respects to the music & production of Fonce Mizell of the legendary Mizell Brothers, remembering the soulful voice of Amy Winehouse, and shining the spotlight on veteran underground emcee J-Live. Plus a new Doom/Ghostface collabo remixed by Madlib, and fresh Vancity flavor from the Boombox Saints. Trans-Europe Express: From Scotland to Slovakia, Groove & Static turn up hidden funk, soulful beats and cross-continental collabos, including Jay.Soul, Tullio de Piscopo, Oliver Lowe, Fermata and many more. And Scott C goes deep with jazzy sounds from the Skid Row Sessions, funky synth warbles from Ta-ku and Wagon Christ, and classics revisited by Amy Winehouse and Zo! & Phonte. Ruby Jane gets down "On the One" with a taste of California funk and some boogie treats for funk dancers, featuring tracks from Dam-Funk, 2Pac, Marlena Shaw & Lamont Dozier. Plus: Shanghai-based AM444 blends soulful vocals with futuristic beats, the Dirty Dozen Brass Band throws down fat tuba funk, and the disco group Sting serves a slice of pure "Pleasure". Featuring rough Afro-disco by Mixed Grill & Guynamukat, spacey late-night jazz breaks by Donald Byrd & Cal Tjader, and downtempo dusty samples from Billy Cobham & Pekka Pohjola. Inspired by Nomadic Massive's concert series at the Montreal Jazz Festival, DJ Static showcases Nomadic and past/present Montreal artists like Obscure Disorder, D-Shade, Preach Ankobia and the Boom Bap Kats. 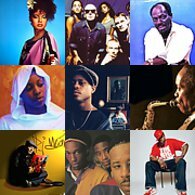 Featuring cuts from recent mixtapes by Jean Grae ("Cookies or Comas") and Elzhi ("Elmatic"), Nas' new "Nasty" with thundering Salaam Remi drums, candy-coated boogie by Tata Vega & Evelyn "Champagne" King, new raw funk from Japan's Osaka Monaurail, the Jackson 5 unreleased gem "If I Can't", and a double shot from Bill Withers. On the flipside: The WEFUNK duo switches spots to celebrate our 650th show, with Static dropping some Egyptian funk by the "Godfather of Nubian music," Ali Hassan Kuban, and a 20 minute mix packed with favorite samples by Grover Washington, Brenda Russell and the Impressions. Professor Groove gets down on some Cali hip-hop from DJ Quik and MC Ren, plus tracks from Da Sha Ra and Danny Brown that sample homegrown New Orleans brass and Detroit techno.